Coconut oil pulling is the new fad trend that has everyone clearing the shelves of coconut oil at supermarkets nationwide. Social media experts, vloggers, and independent consumers are going towards oil pulling because it is rumored to whiten your teeth faster than regular toothpaste. That is a rumor for some brands, but from us Experts here at Mytopface, that is a fact when dealing with Kismet Essentials. Trust us, we experienced it first hand. The smile on our experts quickly went from mediocre, to beautiful and healthy. No exaggeration. 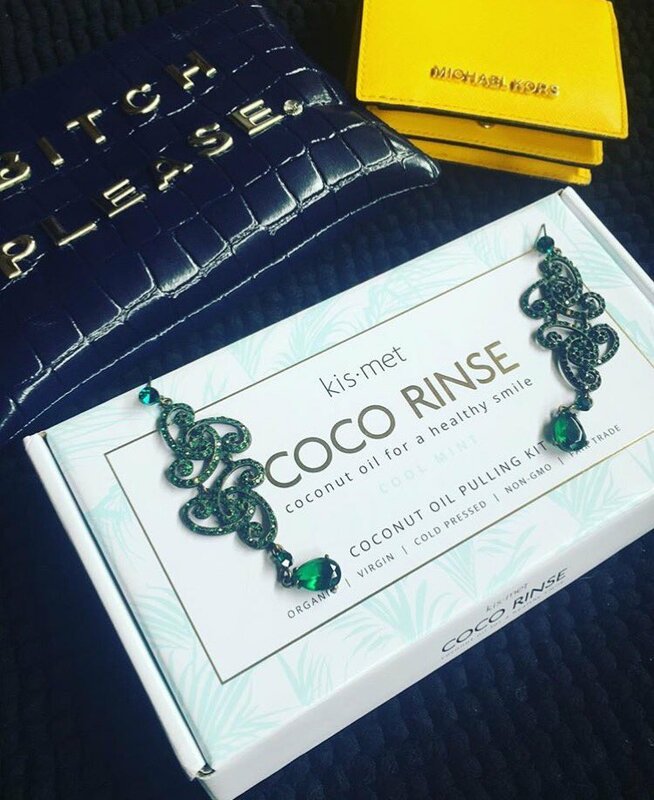 To get to the specifics, the Kismet Coco Rinse is a 14-day, mint flavored, Coconut Oil Pulling Kit, used to get whiter teeth and fresher breath. The Kit contains 14 individual sachets filled with Kismet’s tasty peppermint flavored Coconut Oil. Our experts personally found the taste to be way easier to handle compared to other oil pulls. Other pulls are filled with a bunch of preservatives and flavorings that do not sit well with the taste buds in our mouths, yet with Kismet, we live for this taste! TEAR TOP OF SACHET OPEN & SQUEEZE COCO RINSE INTO YOUR MOUTH. 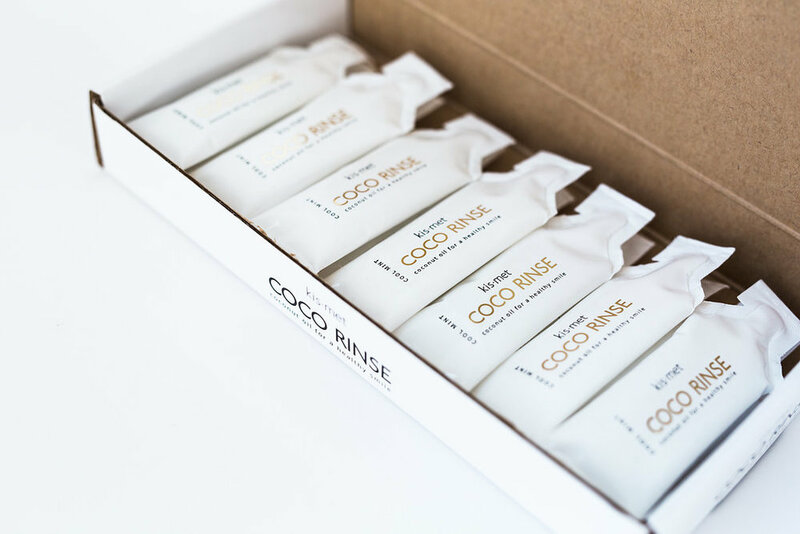 SWISH COCO RINSE AROUND IN MOUTH FOR 10-20 MINUTES. SPIT OUT & ENJOY YOUR BRAND NEW WHITER, HEALTHIER, BEAUTIFUL SMILE! 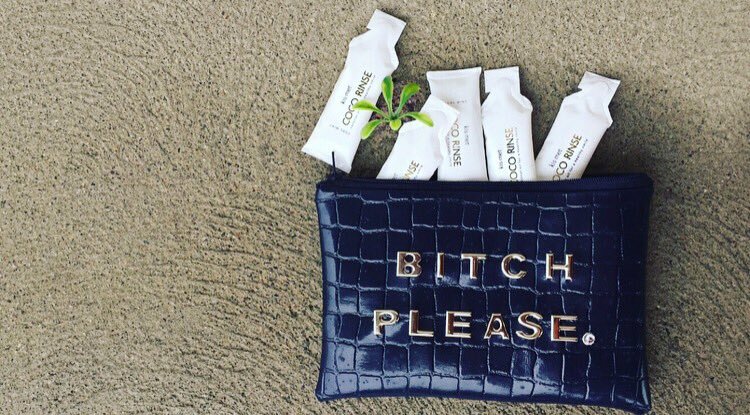 Internet sensations have made Oil Pulling so popular that even celebrities like Emma Stone, Miranda Kerr, Gwyneth Paltrow, Mandy Moore, the Olsen twins, Kelly Osborne, the Kardashians, and way more are jumping the bandwagon. 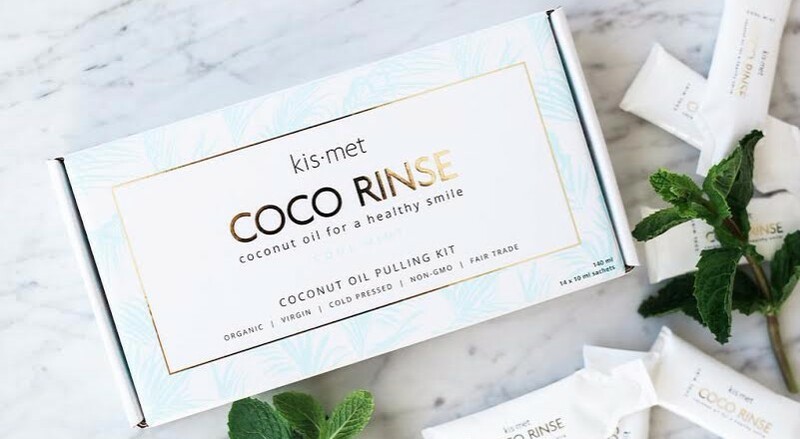 Kismet Coco Rinse also made sure to create their formula to be 100% certified organic, raw, virgin, cold-pressed, and fair trade. Off-white, stained, or yellow teeth are no fun. Your smile in pictures end up unlikable and your confidence falls way down. Also, stay clear of painful and expensive procedures, and draw yourself to love Oil Pulling as it is more beneficial and confidence-boosting for you in every way possible. With just one daily use you will fall in love with your smile all over again! A special thank you would like to be extended to 1985 for this dope and fashionable for our Say What? Clutch Bag. We certainly make a fashion statement with this number.